Bank of the West Celebrates America is one of the many free concerts we’re looking forward to this summer! Head to Memorial Park to hear a free performance from headliner Kenny Loggins, the Lincoln-based Dylan Bloom Band, and an Omaha-based band called Finest Hour. After the show, enjoy a spectacular fireworks show to kick off the Fourth of July weekend! The Omaha Pools have several events planned to provide fun and affordable activities to do as a family throughout the summer. On the Saturday before the Fourth, head to Camelot Pool for their special Independence Day Bash. Stop by from 1–5 p.m. to be a part of this patriotic party! Each year, Friends of Lake Manawa lights up the sky with a breathtaking fireworks show that reflects over Lake Manawa in Council Bluffs. This free community event is a wonderful way to kick off this exciting weekend with a bang! Take the kids to the Omaha Children’s Museum for their special Patriots Weekend happening during museum hours on both Saturday, July 2 (9 a.m. – 5 p.m.) and Sunday, July 3 (1–5 p.m.). You can participate in patriotic-themed activities, including the Red, White & Blue Science Show, milk fireworks, bracelet-making, rocket exploration, and red, white and blue painting! What’s more American than going to a baseball game as a family in the summer? Stick around after the Omaha Storm Chasers games on either Saturday, July 2 or Sunday, July 3 for a special fireworks show presented by First National Bank. Each game starts at 7:05 p.m. Get your tickets now — for the Saturday game or the Sunday game! The Omaha Henry Doorly Zoo & Aquarium knows how to celebrate any holiday, and the Fourth of July is no exception! Throughout the weekend between 9 a.m. and 5 p.m., Red, White and Zoo! visitors can parade through the zoo on a self-guided tour to find red, white, and blue animals. There will also be entertainment including bounce houses, music, and special animal encounters! All Red, White, and Zoo! Activities are free for zoo members or with regular paid admission. Don’t miss the 7th annual College Home Run Derby at TD Ameritrade Park, where the top power hitters in college baseball will face off, offering an entertaining and exciting evening for the whole family. The night concludes with the 32nd Annual Omaha World-Herald fireworks display, which perfectly sets the stage for the patriotic activities happening the following day! Get your individual or group tickets online in advance or at the CenturyLink Center box office. The Olympic Swim Trials is one of the more patriotic events happening in the city throughout the year. Watch any of the swimming competitions taking place between June 26 and July 3, but be sure you don’t miss the closing ceremony on July 3! Head to CenturyLink Center to see all of the swim stars, two swimming finals, the parade of the U.S. Olympic Team going to Rio, and a special aquatic performance from Cirque du Soleil. This will be an extravagant and exciting night in Omaha that is sure to get you fired up for the Fourth of July! While most Fourth of July festivities take place when the sky is dark enough to see fireworks, we have the perfect activity to enjoy during the day. Take the kids to any Omaha Pools location on July 4 to receive $1 admission with their Star-Spangled Special. If you’ve lived in the area during the summer, it’s likely you’re aware of the Fourth of July festivities that happen in Ralston each year. Their parade is in fact the largest parade in the entire state of Nebraska! The parade starts at 1 p.m. on 80th and Highland Streets and ends at 73rd and Main Streets. Enjoy a picnic in the park and a family street dance — and of course, the exciting parade that attracts people from all over the region! On July 4, the Nebraska Wind Symphony Swingtones Big Band is putting on their annual free July 4th concert at the Chalco Hills Recreation Area at 6 p.m. This is the perfect opportunity to hear talented local musicians for free with a recommended donation. Head north to the town of Blair for their annual 4th of July Fireworks Celebration from 8–10 p.m. on July 4. Town residents and members of surrounding communities gather at the South Creek Conference Center each year to witness an exciting fireworks show to celebrate our nation’s independence! Happy Fourth of July, Omaha! Have a blast, be safe, and let us know how you’re celebrating this exciting holiday in the area. Summer brings about a myriad of wonderful activities and annual traditions — like food trucks, farmers’ markets, family barbeques in the backyard, and festivals. Festivals are a particularly extravagant way to maximize summer, support local businesses and frankly — have an absolute blast! 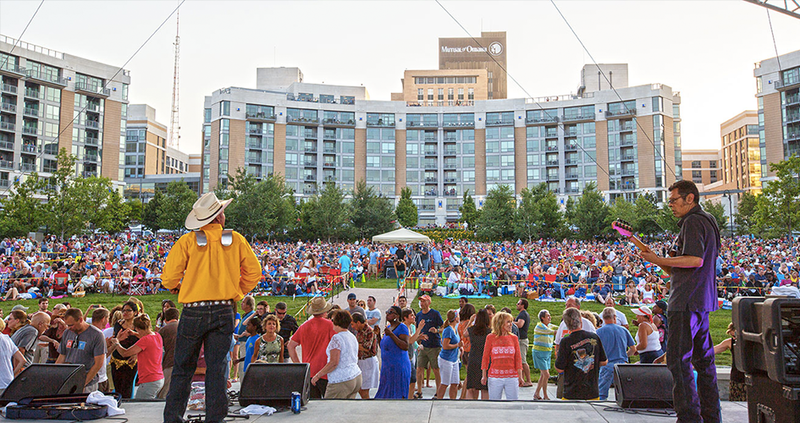 Find out what festivals and events are taking place this summer so you can enjoy Omaha and its surrounding communities to the fullest! Kick off summer at the Taste of Omaha, a three-day festival along Omaha’s scene riverfront at Heartland of America Park and Lewis and Clark Landing. 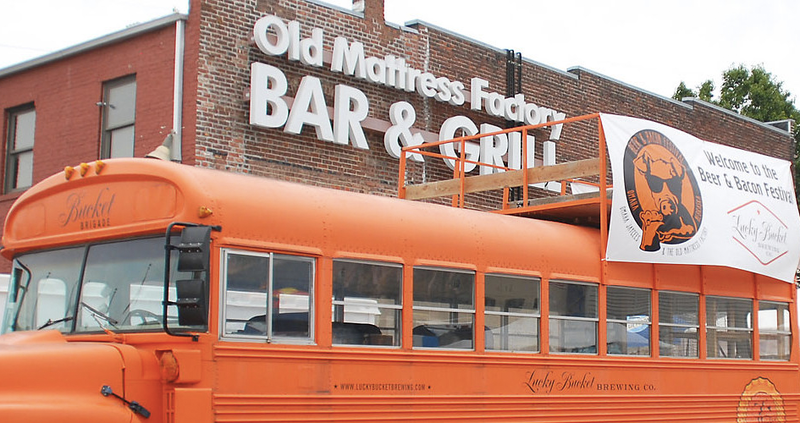 For nearly two decades, this festival has been a unique community celebration of Omaha’s great food and live entertainment. Head to Stinson Park at Aksarben Village for the 6th Annual Omaha Beer Fest, a celebration of all things craft beer and the creative culture that surrounds it. Choose from hundreds of American craft beers to sample, mingle with over 60 brewers and cider makers, attend hourly Beer Academy sessions, enjoy live music, and more! 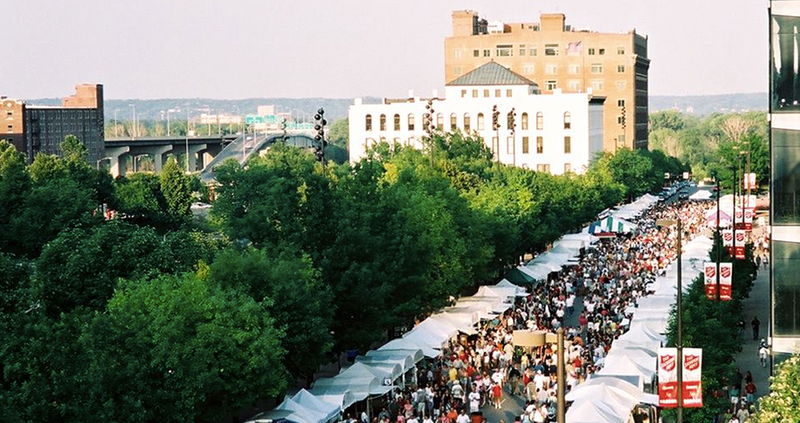 The Omaha Summer Arts Festival is an annual Omaha tradition, dating back to 1975. This festival is Omaha’s premier destination for arts and entertainment, featuring 135 of the nation’s finest visual artists, a lineup of talented musical performers, and an interactive Children’s Fair. And like any good festival, visitors can enjoy delectable food at TasteFest, a collection of booths offering all of your favorite festival foods! Head to Sokol Park in Bellevue for River City Music Festival on Saturday, June 18 for a fun night celebrating music. Hear from several talented artists ranging from old-school funk to cutting-edge indie, including Filibusta, Satchel Grande, After Funk, Keller Williams, Matisyahu, and, George Clinton and Parliament-Funkadelic. The only thing arguably better than summer is fried food. The two come together at Omaha Magazine Fried Food Festival, a one-day festival featuring street-style fair vendors, food trucks, and local restaurants. Each vendor will place an emphasis on fried food and admission is free to the public! In other words, this sounds like a no-brainer for your summer calendar. Celebrate Fourth of July a few days early at the Bank of the West Celebrates America celebration at Memorial Park. Admire the spectacular fireworks show following a free concert from singer and songwriter Kenny Loggins. This community tradition celebrates Independence Day each year in a fun and memorable way! The Ralston Area Chamber of Commerce hosts the largest parade in the state of Nebraska each year at their Ralston Old Fashioned Fourth of July Celebration on July 4th. This family-friendly event also features a picnic, a pie-baking contest, a street dance, a fun run, and an extravagant fireworks show to top off the night! Enjoy live musical performances for six consecutive Thursdays this summer at Jazz on the Green at Midtown Crossing. Hear from the talented lineup of musicians, take dance lessons on site, and mingle with fellow music lovers — all for free! Bring the kids to Omaha Railroad Days, a two-day extravaganza celebrating all things train and track! For just $15 per family, you can visit several venues around town featuring special train exhibits, including Lauritzen Gardens, The Durham Museum, the Union Pacific Railroad Museum and more. The Foam Glow runs sweeping the nation have made exercise extremely fun again. 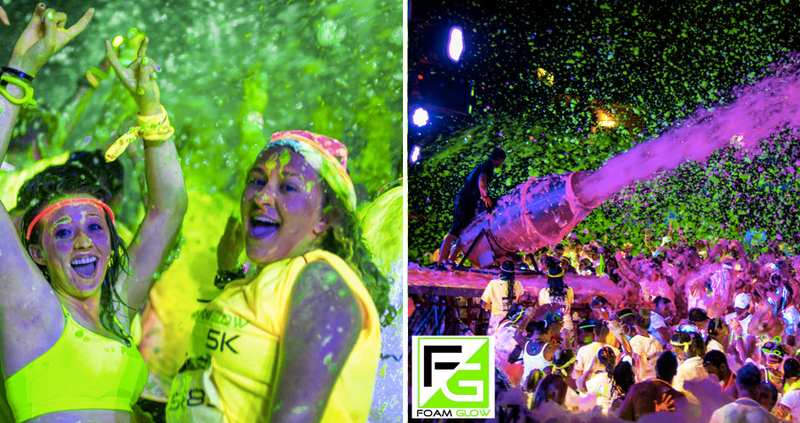 Foam Glow 5K is coming to Omaha on August 6 for a night run unlike any other! Participants show up at the start line with white t-shirts that act as a blank canvas, as they are blasted with colored foam (that glows under black lights) along the route. Make the short trip to Elkhorn to witness the exciting launch of hot air balloons, sample exceptional wines, enjoy delicious food, and hear music from some of the best area bands. 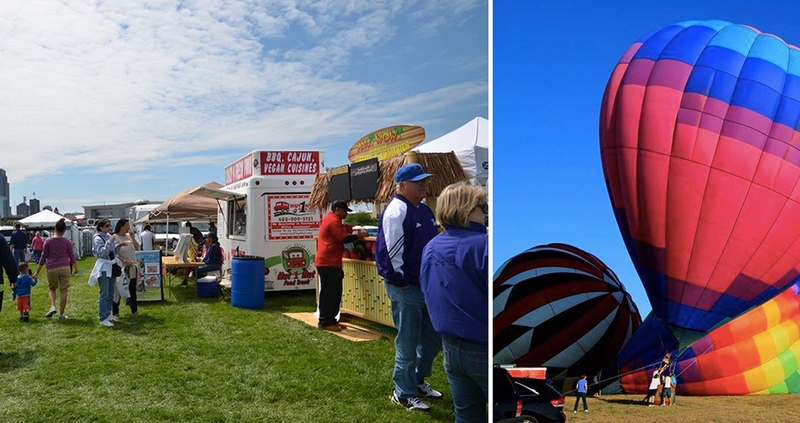 The Nebraska Balloon and Wine Festival will meet for two days of unique summer fun at the ACI Worldwide Coventry Campus to celebrate the festival’s 10-year anniversary! It wouldn’t be summer without at least one instance of sinking your teeth into some corn-on-the-cob smothered in butter. The Omaha Sweet Corn Festival ensures that you and your family capitalize on Nebraska’s exceptional corn, offering samples of homegrown sweet corn, live musical performances, antique farming exhibitions, hay rides, arts and crafts, cooking demonstrations, and more! This wonderful family event takes place at Lauritzen Gardens for free with regular garden admission. The Omaha Beer and Bacon Festival brings together two elements that work together extremely well — beer and bacon. Mingle with dozens of microbreweries serving up over 60 craft beer samples, and nibble on bacon-centric dishes from local chefs — all while enjoying live musical performances! And the best part? This festival raises money for their charity partner, Wounded Warriors Family Support and the Omaha Jaycees. 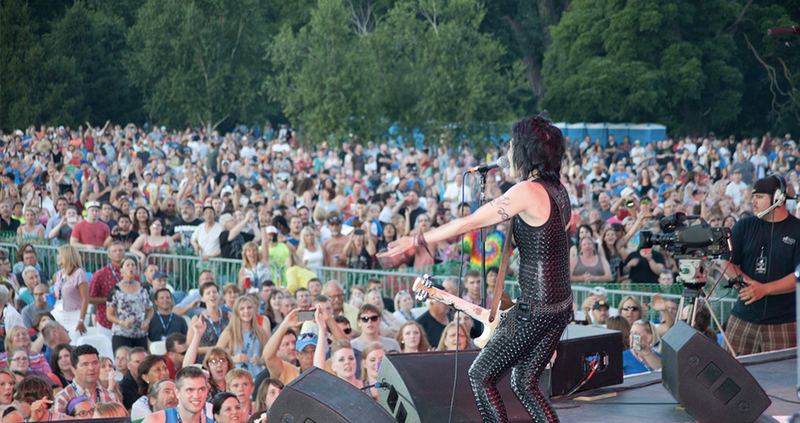 Take advantage of the jam-packed lineup of summer festivals and events on the horizon!